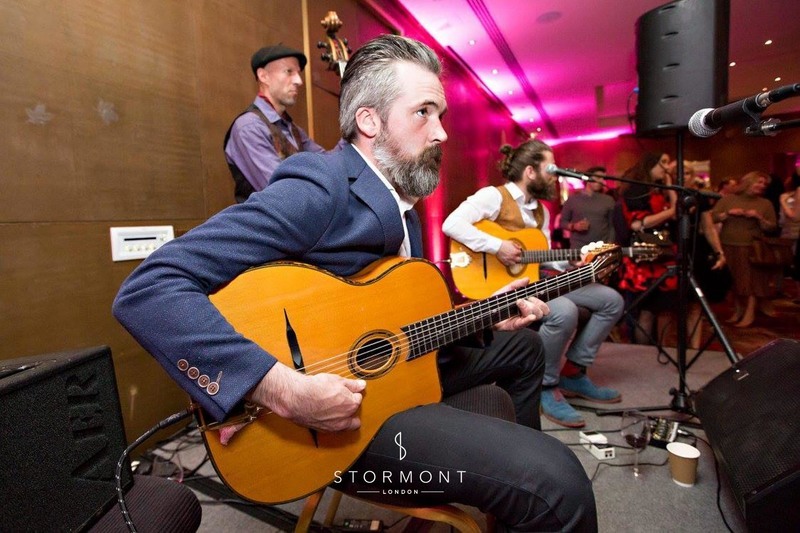 After Russian theatre company Sovremennik brought their adaptation of Three Comrades to London, Parisienne Gypsy were invited to perform at the after party on the night of the premiere. 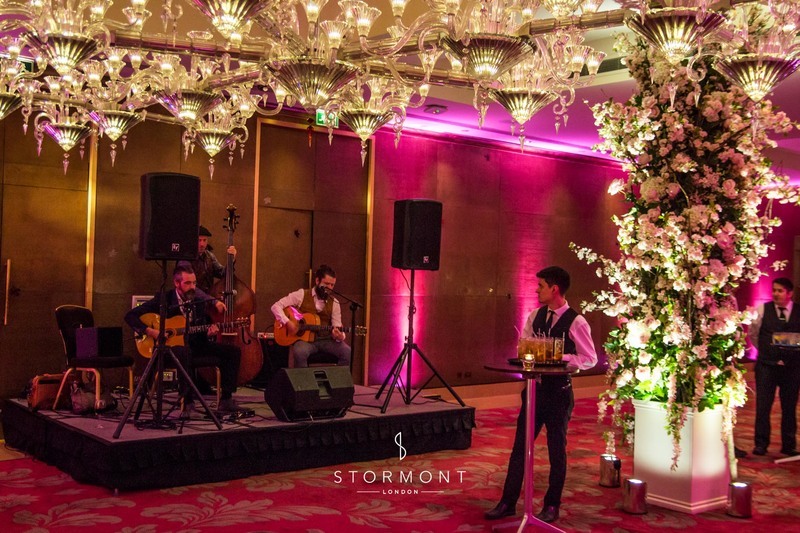 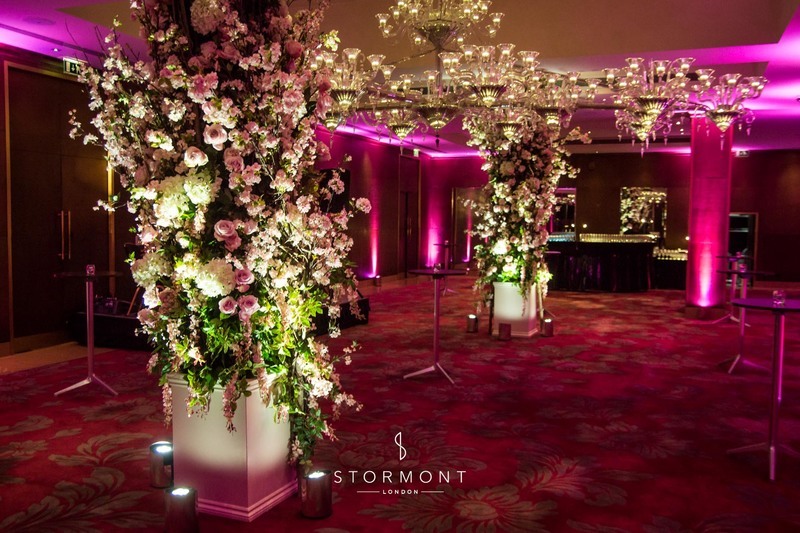 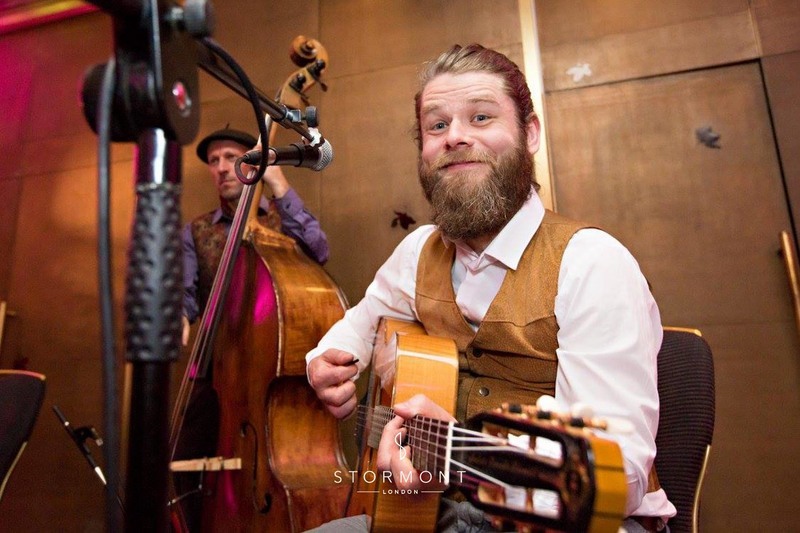 The after party took place in the May Fair Hotel, the Crystal Room decorated to fit the theme of the evening to a T.
The gypsy jazz trio performed fun but sophisticated background music, pop covers injected with their signature Django Reinhardt inspired jazz manouche style. 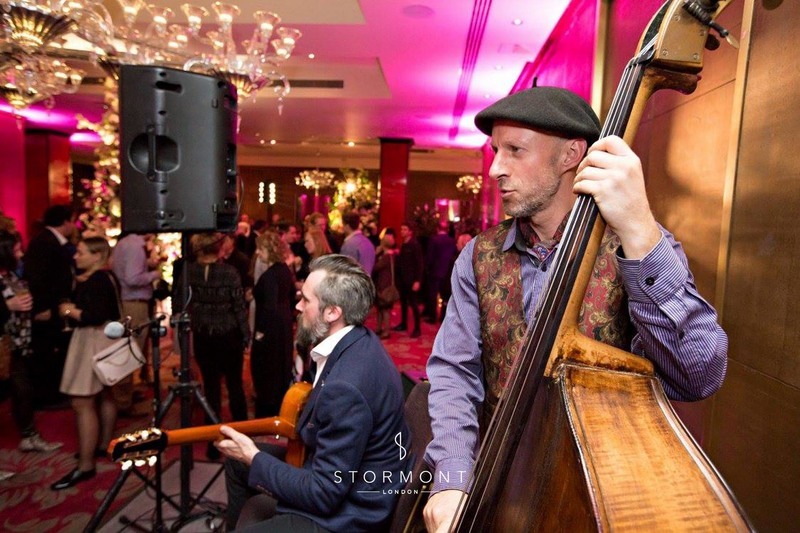 The band proved to be the perfect addition to the evening, captivating not only guests, but some of the hotel staff as well.